I love gum. 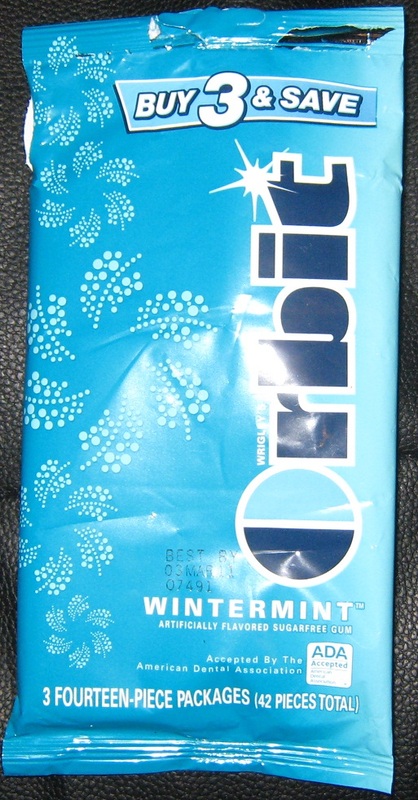 Orbit is among my favorite brands, and I was taken aback by their new packaging. I was in Target and Orbit was on sale – $2.00 per package (contains 3 packs). I grab a pack and start to walk away, but I see, in the upper right hand corner, the package making me an offer I couldn’t refuse. “Buy 3 & Save.” You can never have too much gum, so grabbed two more packs and headed to the checkout. On my way there, I realized my error. It wasn’t saying buy 3 packages. It was saying that the package has 3 packs in it, which is cheaper than buying 3 individual packs. Clever. In the end, I bought three packages (of 3), which left me with 9 individual packages of gum. It was a pretty good deal for my favorite gum, so no harm, but it did make me tip my hat to the folks at Orbit who pulled forward my purchases, and perhaps prevented me from buying a competitor’s product in the meantime.